When I asked my roommate if she minded I decorated our house for Valentine’s Day, she laughed. “Just hold back on the pink,” she said. 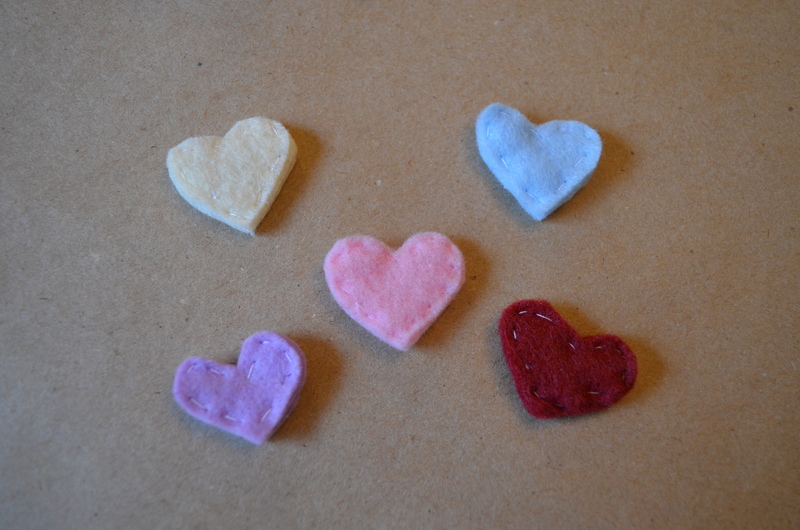 I love Valentine’s Day! 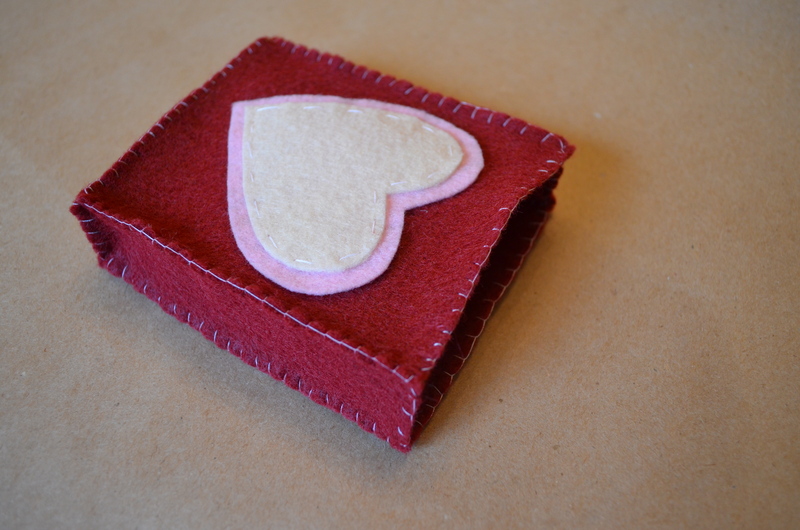 So when I started to brainstorm ideas for spring felt products for the Etsy shop, felt Sweetheart candies – right in time for Valentine’s Day – quickly came to mind. 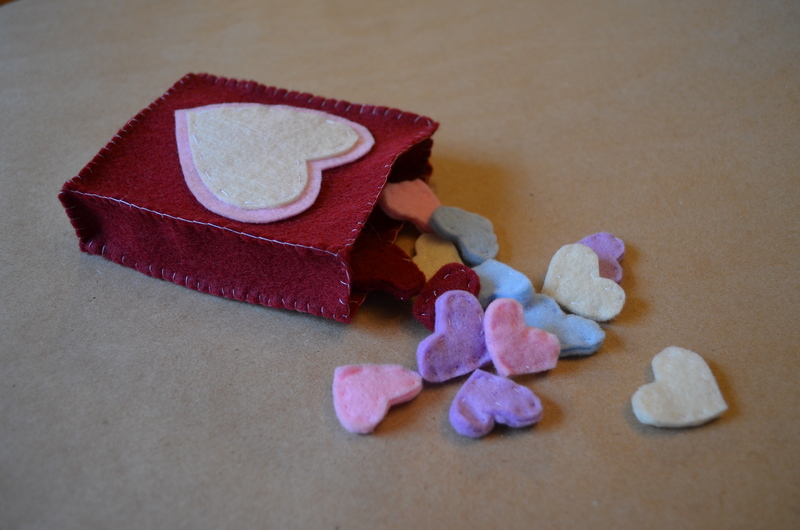 Each bag comes with 20 little felt hearts, 4 of each color. 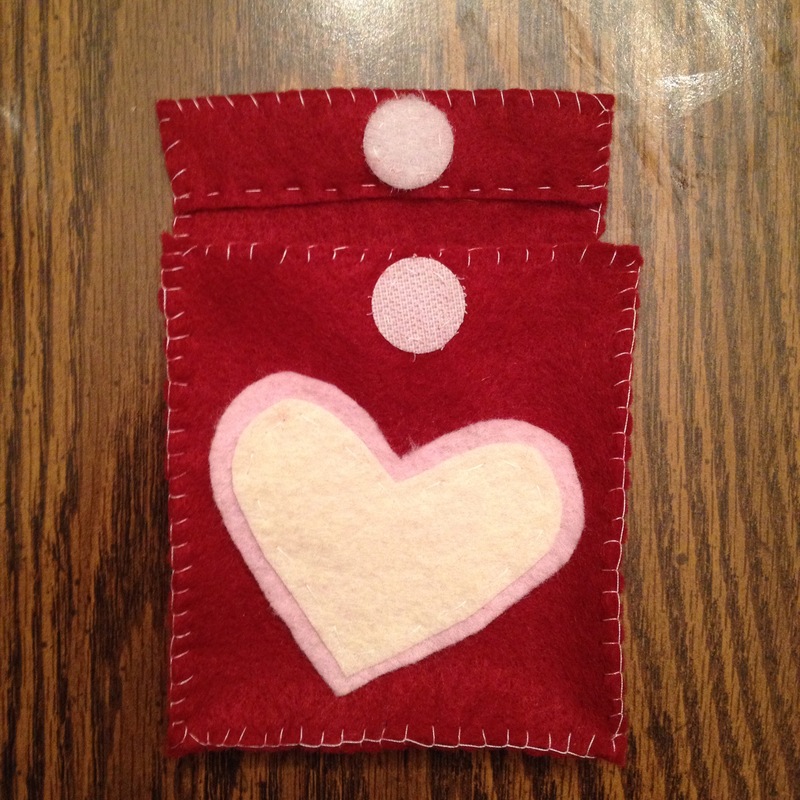 (Note: this number later seemed ridiculously high when I was working on completing 16 bags – 300 hearts total.) 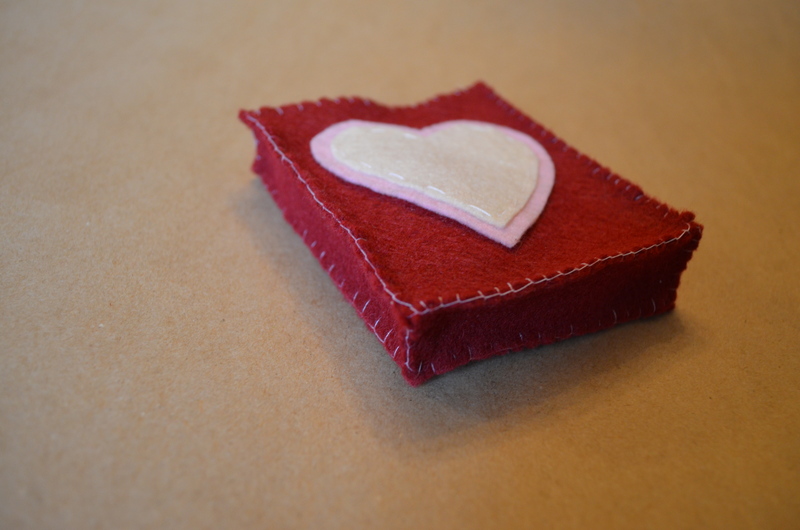 Each heart is actually 3 layers of felt, hand sewn together. 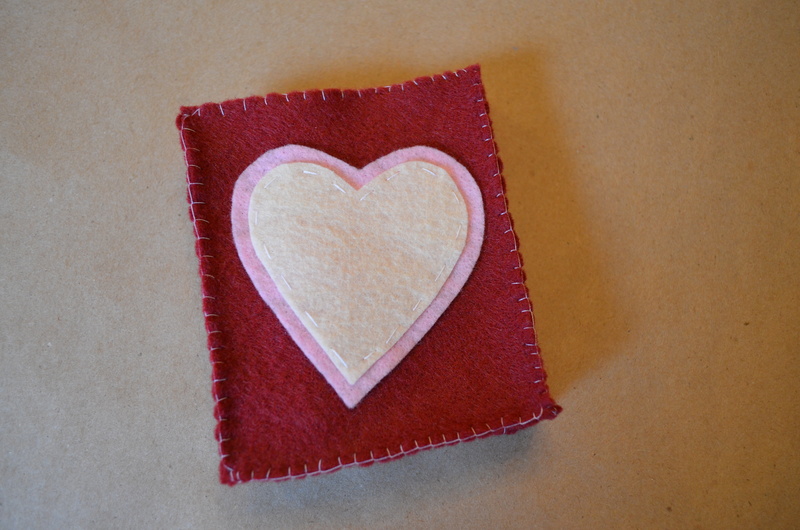 Using a blanket stitch did make the production time longer, but I think the homemade touch elevates the overall product. And so far, the product has been a major hit. So what are you waiting for? 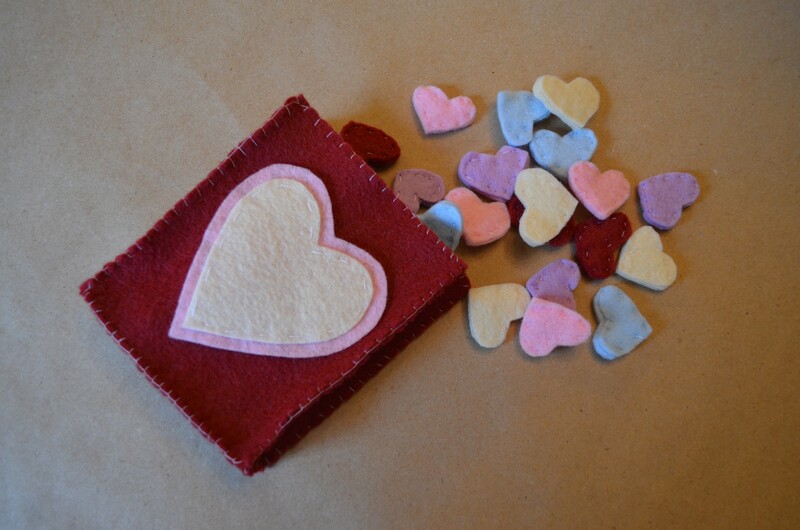 This bag of felt candy is the perfect gift for your little Valentines. 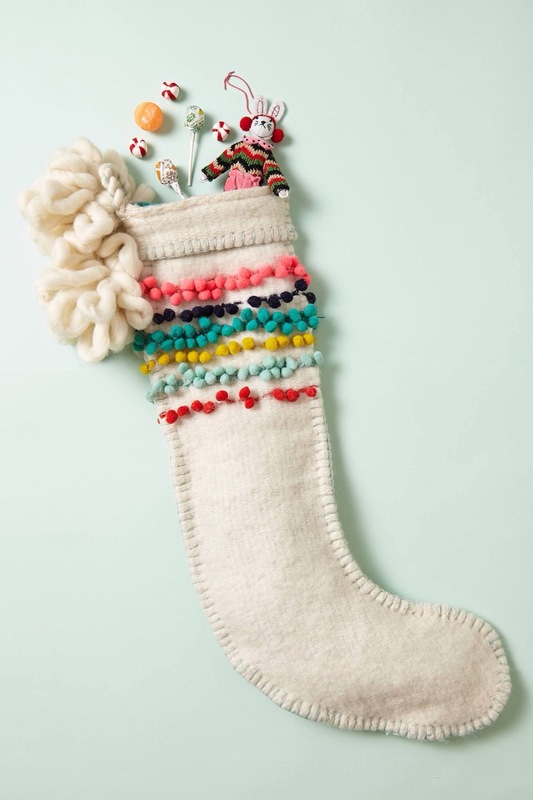 Plus, you don’t have to worry about cavities! 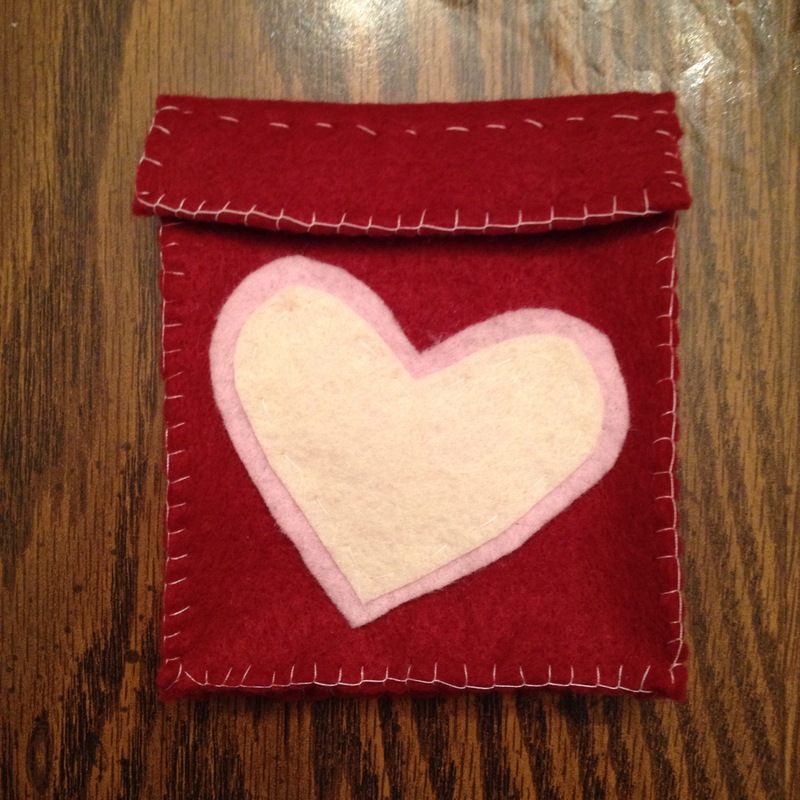 Side note: One customer asked me to create a felt bag with a flap (since she thought the felt hearts would quickly be lost otherwise). I was happy to oblige. 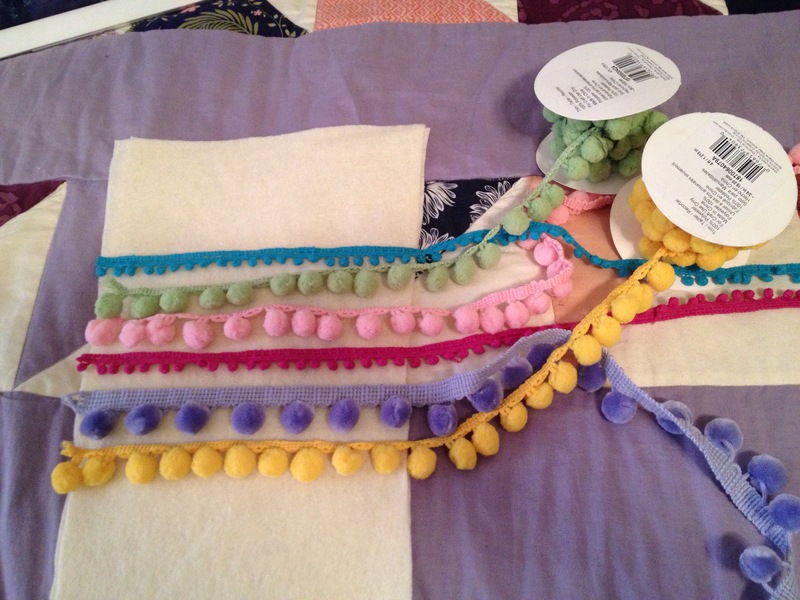 I went back and forth about using a velcro dot (seems dangerous around felt), but (confession) it was my laziness that made the final decision. 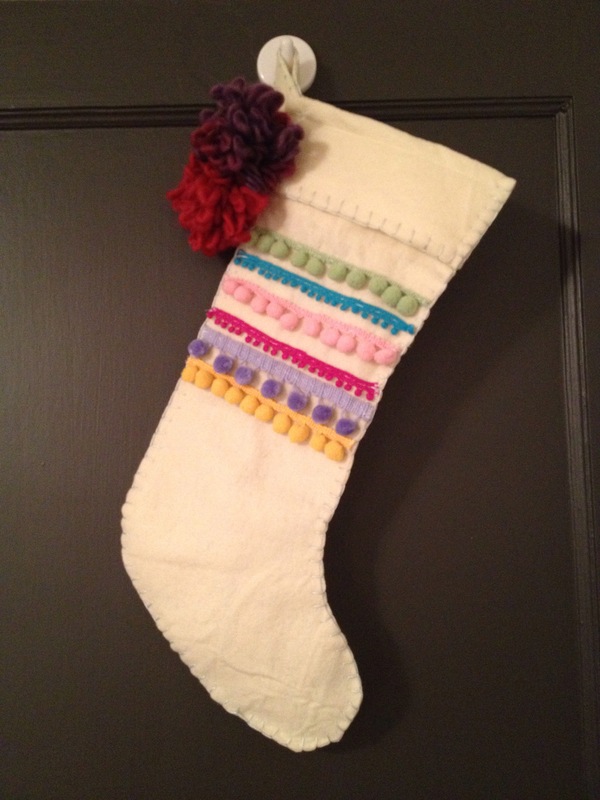 I couldn’t find a button to use around my house and I was too lazy to run to the store. Luckily, the customer didn’t mind!